Forget that standard, boring color paint! 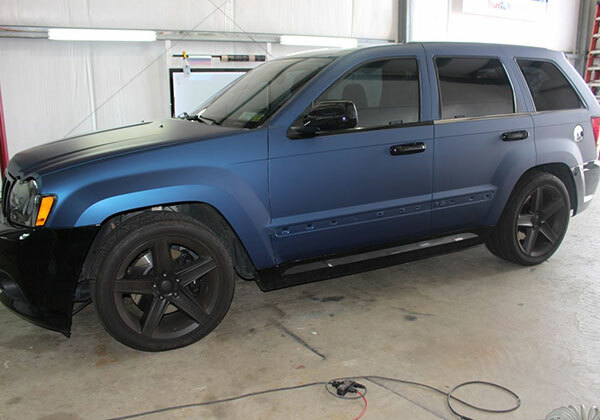 Our color change vehicle wraps can take the look of your ride to the next level. Our expert installers can install matte color wraps, gloss color wraps, satin color wraps, and much more. Then you can incorporate stripes or design and you’ve taken your vehicle from zero to hero. The vinyl in addition to giving a different look to your vehicle also protects and preserves the paint as it will not be exposed to the elements such as uv rays, salt, dirt, small washing marks (swirl marks) etc., You will also not have to worry if the vehicle You have is a lease one at the time of the removal the OEM paint should not have damage if it was wrapped and removed by professionals, also if the wrapped vehicle is your belongings you can preserve the monetary value since you would not alter the factory OEM paint, thus being able to acquire the highest value if in the future you want to sell it. Vehicle wrapping not only involves wrapping a full car, you can also wrap only parts of the car like the roof, hood or those parts you want to give a unique and different touch. Needless to say that for some people the chrome is outdated and if your car is one that the manufacturer still uses it, you could wrap these parts like window moldings, grilles or that other chrome accent of your car, in our industry it is known as CHROME DELETE. It is very difficult to provide an exact quote without actually inspecting the vehicle in person. There are many factors that would determine a quote and the final price. We try to remove as much hardware as possible to achieve a seamless and paint like finish on the wrap. However, some hardware on certain type of vehicles can not be removed without the help of professional individuals on that field.